Several news sites keep trying to convince me her organization strategies are a thing. Has anyone here heard of her? 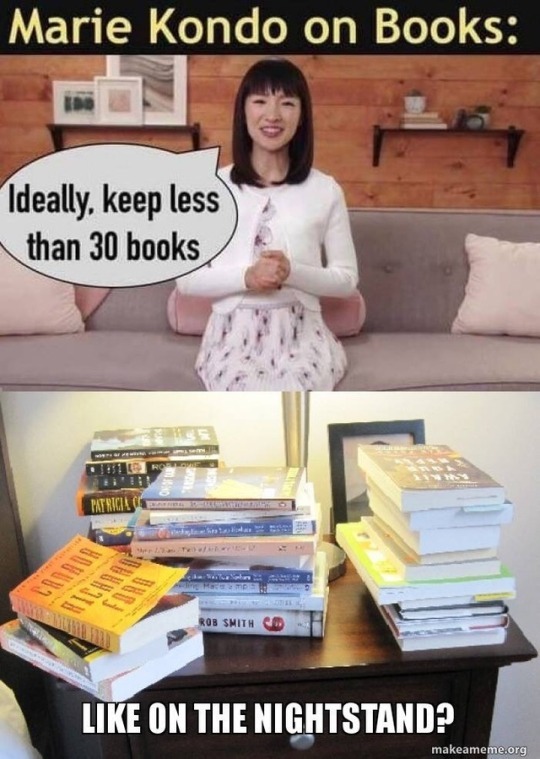 I have never heard of Marie Kondo before. Any specific field in which I might have heard about her? 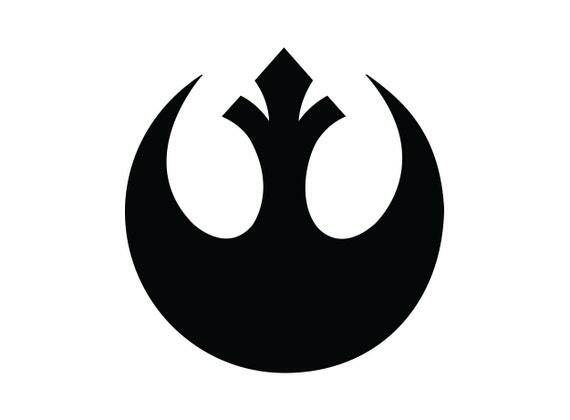 "organization strategies" is a rather vague topic. Are you sure that some web tracker hasn't gotten into your browser and may be hijacking ads at those news sites into "recommendations" to her site? Marie Kondo, a Japanese organizing consultant-turned-author whose book, The Life-Changing Magic of Tidying Up, re-popularized the idea that the first step to achieving inner peace is to give away the useless piles of things you’ve accumulated over the years. (Per the KonMari method, you’re first encouraged to hold the stuff, think about the stuff, and thank the stuff for its service). 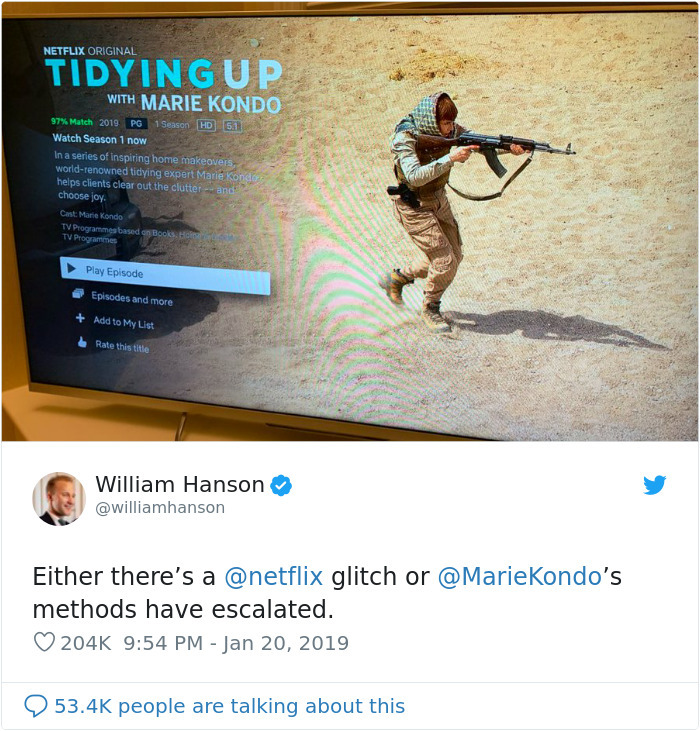 The guru’s new Netflix show, Tidying Up With Marie Kondo, has drawn people further down the anti-hoarding rabbit hole: Binge all eight episodes and you might find yourself purging your earthly belongings. I'm not always clear on the difference between stuff jammed in a closet never to be used, and that same stuff buried in a landfill. We live in landfills-in-waiting anyway. We are landfill. Might as well try for comfort. Thrift shops are reported to be seeing increased donations because of her show. I'm thinking of doing another book giveaway. I've been purging old crap anyway. It is refreshing to not have so much junk to keep up with. I can't speak to tidy yet, but my goal is to not be surrounded by useless junk. My wife has been getting rid of stuff, and that is fantastic (she's a hoarder). I need to do the same. My mess isn't as bad, but it's there. The garage is my Everest. never heard of her until this morning when I read this thread, then later on in the day they were talking about her on the news. I've been steadily decluttering for the past few years. I look at it like weight loss. as long as I'm getting rid of more than I'm gaining than I am winning. Everyone has heard of her! And i don't subscribe to her way of cleaning house. Having said that, i probably should! don't collect human waste you really don't need. take the trash out, vacuum and dust regular like. and put human waste where it belongs. if you don't have a place for it... you don't need it. and if you haven't used it in the last year... that item just might be "human waste you don't need"
it's why they call it spring cleaning. douche the house out once a year at least. Wife (looking into a box full of corroded plastic serving spoons, melted spatulas, and bent forks): "But, I need that stuff! 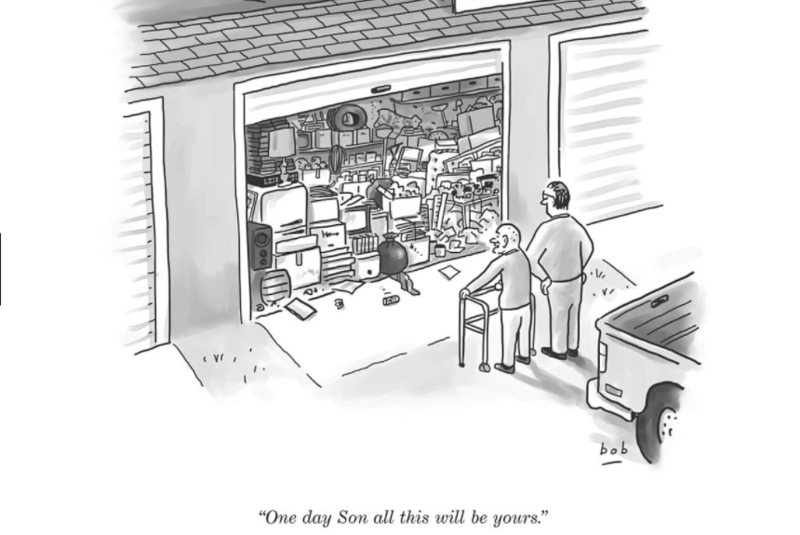 ..."
Does that include old computers or grammas kitchenaid mixer that has ALL the accessories? A KitchenAid mixer is a tool that ought to be used, and often. If you really have all the accessories, you are sitting on a gold mine with that thing. Especially if it is an older Kitchenaid mixer. Those things are indestructible and worth a fair bit if in good condition. My father is a neurotic packrat of things he deems useful based on his life experience. I have 30 years of such behavior shoved into a garage here, and I've been trying to organize it for the past 5 years easily, starting with his 1980 Jeep that was in that garage underneath a layer of cardboard so you couldn't tell there was a car under there. It is now such that I can tell you with petty good certainty whether something is or isn't in that garage, but I don't always know what it might be or why it's useful. When I began tearing the bathroom down to the studs and having to rebuild it, I probably saved myself at least 5, maybe 10 trips to Home Depot because my father already accumulated that much stuff that is now on one shelf in there. At one point I had to solder copper pipes and had no idea if I could find lead-free solder, and in about 5 minutes I did. This situation is the exception for sure. Over the past few years, I've had about 6 or 7 weekend garage sales to get rid of big, bulky, seemingly ridiculous things just in my way and probably pulled in over a grand from passersby in total. His motto is, "It's still good". As long as she's not busting down my door in an attempt to force me to reorganize, she can do whatever she wants. And I will still roll my eyes at her devotees. Thanks, I needed that. It gives me the motivation to get rid of more crap. Depends on how sentimental you are and how much you use them. I've already been through one of those inherits. Maybe I own two paper books. I own a tablet. You and your hoarding. I haven't read her book, but people who like it have told me that her method is widely misunderstood. Supposedly the book thing is a prime example, and she says that if having a bunch of shelves full of books makes you happy, then go for it. I heard it's a spiritual thing. I am for anything that gets people to de-cluter.